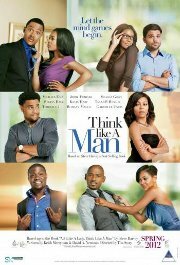 Steve Harvey's book guiding women on how to think like a man to catch and keep a man provides the backdrop for this rom-com. Four buddies are each chasing after a different lady, and when they discover that the gals have been using the book to outwit them, they decide to turn the tables by using the book too... but in unexpected ways. Mature Accompaniment under 13 (Language). Can I bring it on now?